Our family is experienced in glass and window cleaning for over 30 years. We are capable of handling up to 45 feet of ANY Commercial or Residential Structure. Old or new styles, storm windows, Plate glass, Atriums, stairwells, sky lights etc. We clean interior and exterior windows and price by the window. 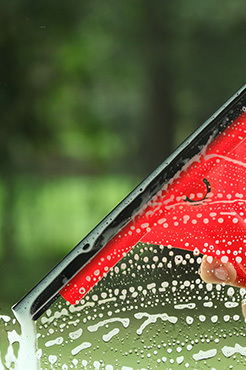 We clean all screens and replace or store them by request. We clean all sills and check floors and woodwork for dust and cobwebs. We are owner operated to insure your confidence in us. We also provide exterior only pricing and discounts for frequent use of this service.